Phone cases made of car wrecks caused by texting and driving. This February, Sweden banned phones in traffic. Despite that, the number of distraction-related crashes hasn’t decreased on Swedish roads. To make you think twice before picking up your phone in traffic, Volkswagen made Crashed Cases. 153 phone cases made of car wrecks caused by texting and driving. One phone case for each car crash since the implementation of the ban. 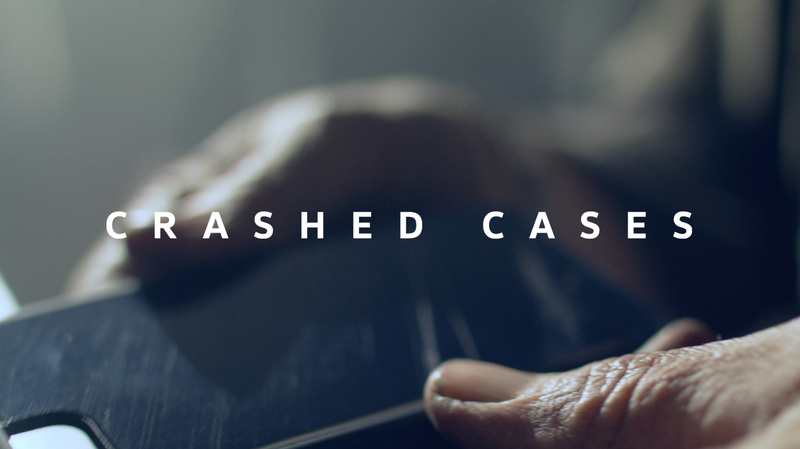 The cases are available at crashedcases.com and all profits go to Trafikskadefonden, an organisation which helps rehabilitate victims of car crashes. The project was written about by 600+ news outlets worldwide, and reached the front page of Reddit. An earned media reach by over 357 000 000 impressions with a value of 46 million sek.